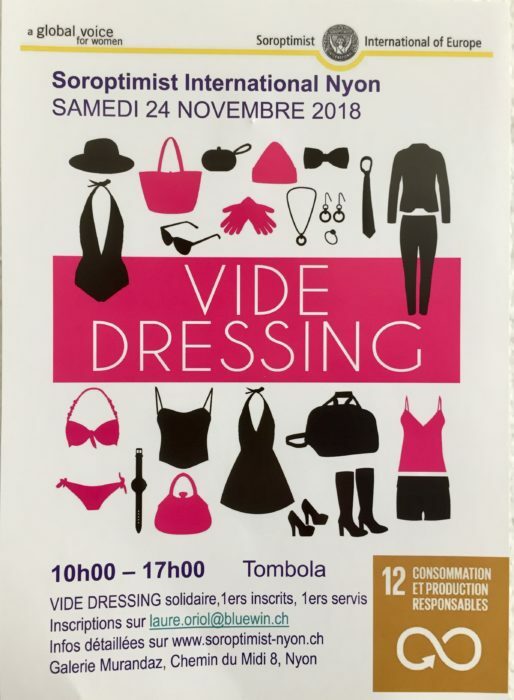 There will be a Charity *”Vide Dressing” at the Galerie Murandaz in Nyon on Saturday 24th November from 10:00 – 17:00. This event is organised by the Soroptimist International Club of Nyon. The Galerie Murandaz is at Chemin du Midi 8, Nyon, very near to the La Combe shopping Centre. Monies raised will go towards ELàN – an association that helps students in Nyon to overcome temporary financial difficulties, enabling them to terminate their studies without interruption and stress. *A Vide Dressing is a second-hand (good quality) clothes sale.